A jar of delicious Swizzels Matlow sweets; perfect for anyone with a sweet tooth. Personalise the front of this 'Me To You' Reindeer Sweet Jar with a message up to 45 characters in length. All personalisation is case sensitive and will appear as entered. 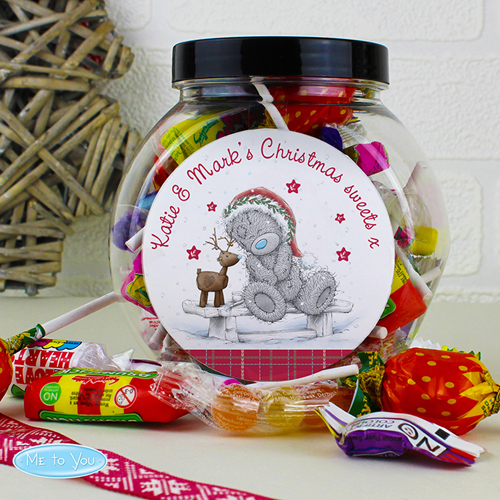 Personalise the front of this 'Me To You' Reindeer Sweet Jar with a message up to 45 characters in length.